Green Flash acquires fellow San Diego-based Alpine Beer Co.
L to R: Chuck Silva (Green Flash Co. brewmaster), Pat McIlhenney (president and brewmaster at Alpine Beer Co.) and Mike Hinkley (Green Flash founder and CEO). Acquisitions and consolidation continue to evolve the craft brewing industry. Earlier this week, Green Flash Brewing Co. founders Mike and Lisa Hinkley and Alpine Beer Co. founders Pat and Val McIlhenney announced that their breweries will join forces, teaming up to share resources, knowledge and experience. Both the McIlhenneys and the Hinkleys view the affiliation as mutually beneficial and are committed to supporting each other for the success of both breweries. Each company will remain independently operated and maintain its distinct brand and culture. Pat will remain Alpine’s president and brewmaster to oversee all operations of Alpine Beer Co. while also ensuring Alpine beers continue to meet his unwavering standard of quality, whether brewed at the Alpine or Green Flash facilities. The most notable change will transpire over the next several years, as Alpine beer will become available to their legions of fans from across the country that have only experienced the greatness of Alpine beers while visiting California. 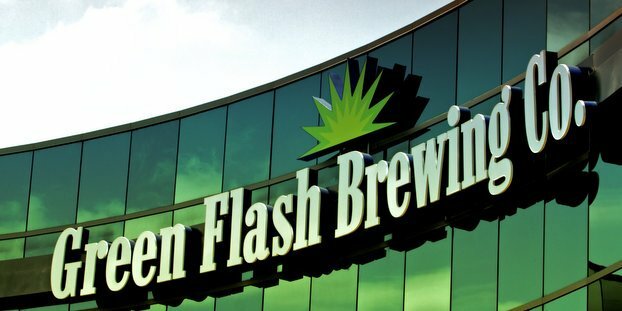 In a “handshake agreement,” Green Flash began brewing Alpine beer in November 2013 at its San Diego facility with the goal of helping longtime friends at Alpine raise capital to expand their production capacity. Green Flash has been producing three of Alpine’s brews (Nelson, Hoppy Birthday and Duet), increasing Alpine annual production from 1,500 to 3,000 barrels (bbls). The successful arrangement they have shared over the past year was the impetus for the breweries to take their relationship to the next level. Each views the partnership as an organic evolution that will benefit both of their operations in many ways. Alpine employees 20 people and is distributed exclusively in California with the ability to produce a maximum of 1,500 bbls from its San Diego County brewhouse, with most of this beer sold directly from its on-site pub. Brewing capacity limitations have made it impossible for Pat and his team to support the overwhelming demand for their exceptional products. As partners, Alpine will be able to tap into the growing Green Flash team of talented brewers, their production capacity, access to capital and human resources in operations and administration. In 2015, Green Flash will begin bottling select Alpine brews in 22-ounce bottles, adding to the three current draft offerings. Collaborative brews are already in conversations, so consumers can expect these to appear in their tasting rooms and at the best craft beer bars in Southern California. The two brewmasters are already talking about how they can work together at Green Flash’s Cellar 3, a special barrel-aged beer packaging facility that is currently under construction, and will include a cork-finish bottling line.